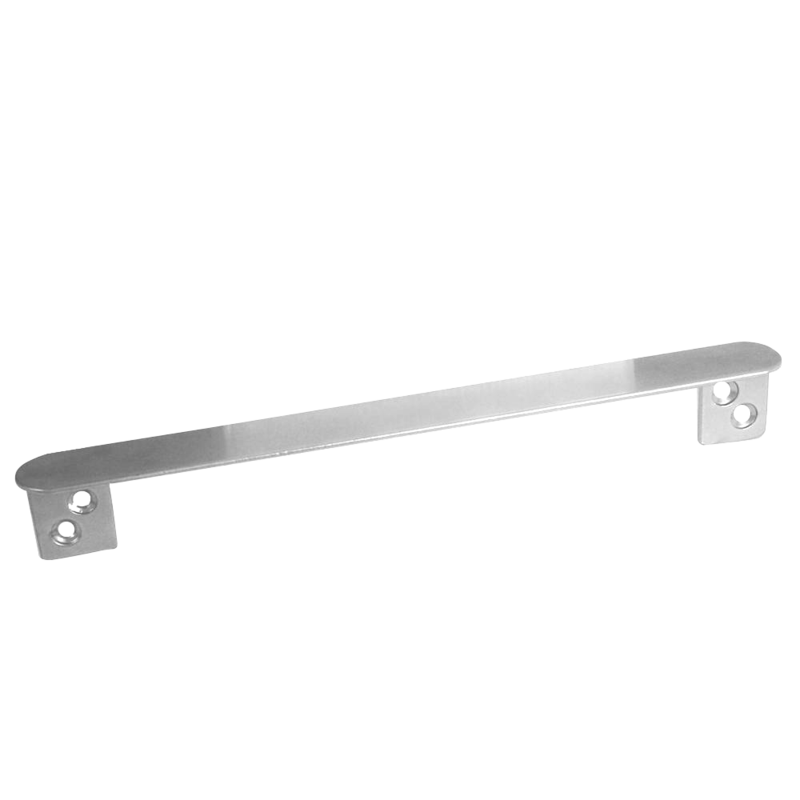 Ideal for use with mortice nightlatches to prevent the latch being slipped. 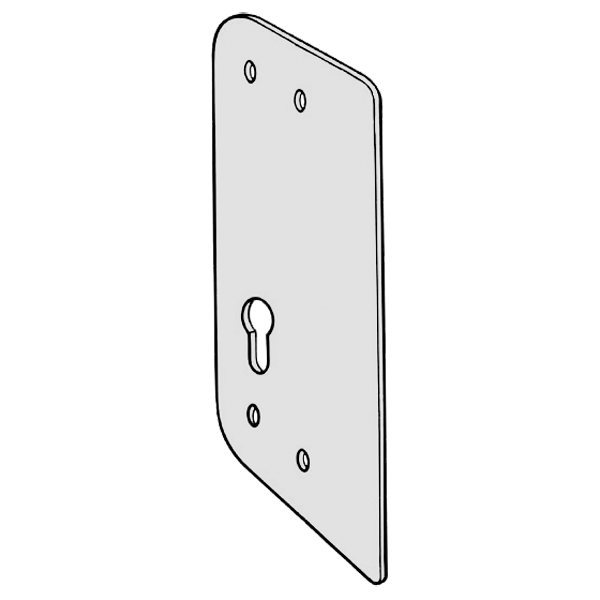 Narrow style plate ideal for commercial applications where locks are in a vulnerable area. The HPC VDG10 Anti-Thrust Lock Guard Plate is HPC’s strongest and most popular guard plate. The plate is 14 inch (35.5cm) long and made from 2 pieces of 16 gauge cold rolled steel, welded together with a baked matte bronze finish. 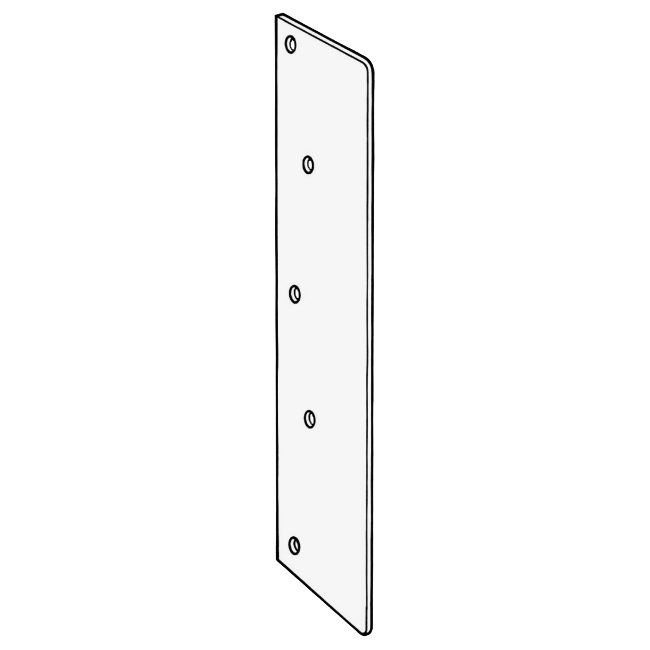 This guard plate offers maximum resistance to prying and forcing. 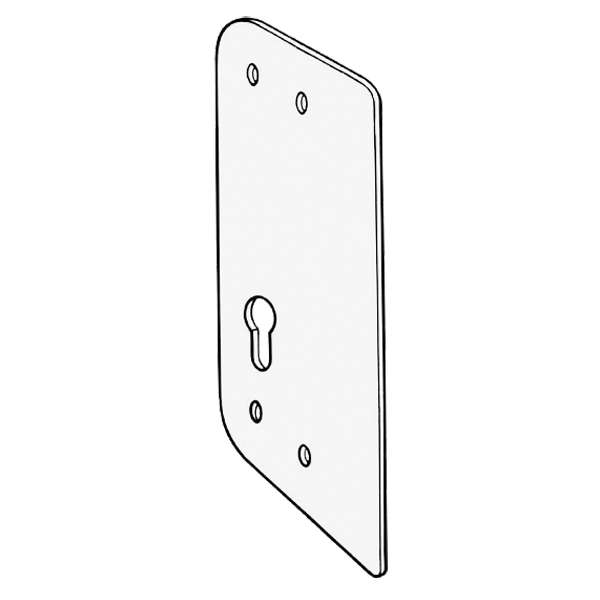 The VDG10 mounts onto your door with 2 carriage bolts going through the door, and is anchored with a nut and cap nut on the inside. Four wood screws go into the edge of the door. 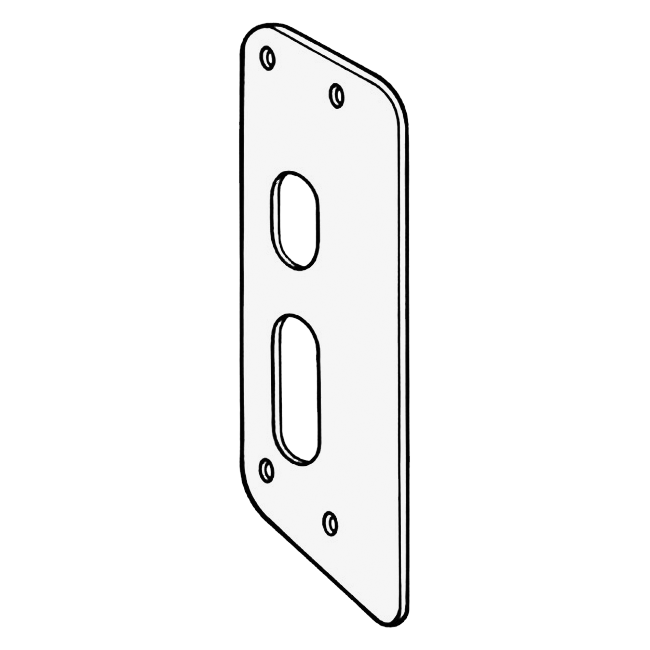 Guard plates come complete with all necessary hardware and illustrated instructions. This Kickstop anti-thrust plate is designed to be used with Mortice Deadlocks. It is made from steel plate and extends over the gap between the fame and the door and protects the bolt from attack. 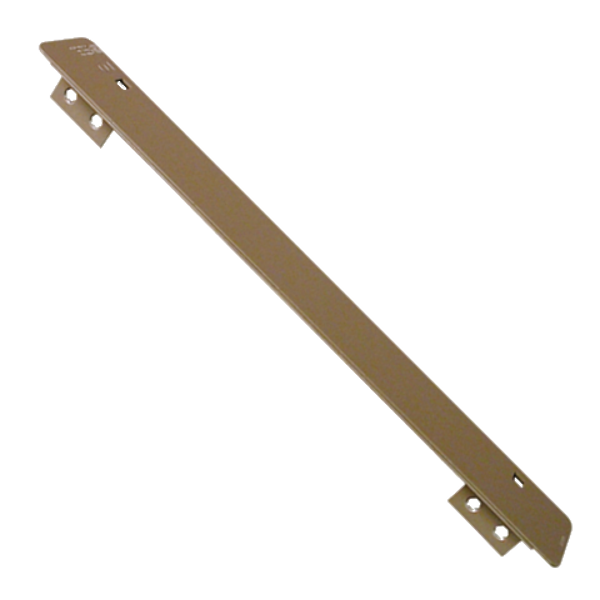 This large (480mm) Kickstop anti-thrust plate is made from steel plate and extends over the gap between the fame and the door to protect the door from attack. This extra long Kickstop anti-thrust plate is designed to be used with a Mortice Euro Profile Deadlock. It is made from steel plate and extends over the gap between the fame and the door and protects the bolt from attack. 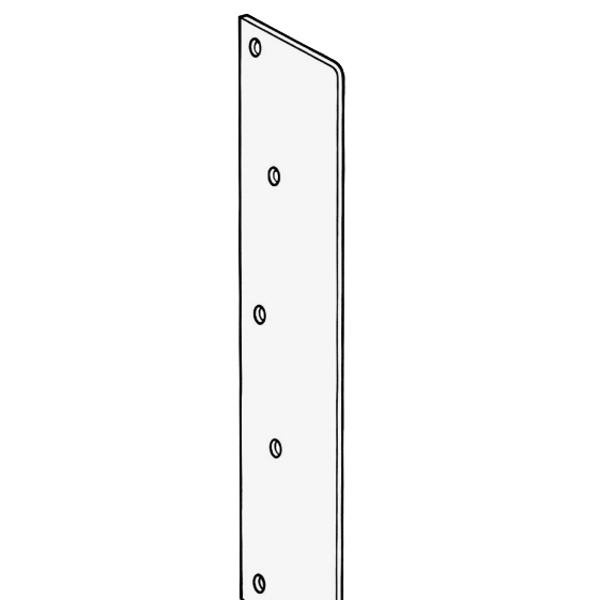 This full length (1980mm) Kickstop anti-thrust plate is made from steel plate and extends over the gap between the fame and the door to protect the door from attack. This Kickstop anti-thrust plate is designed to be used with a mortice Sashlock. 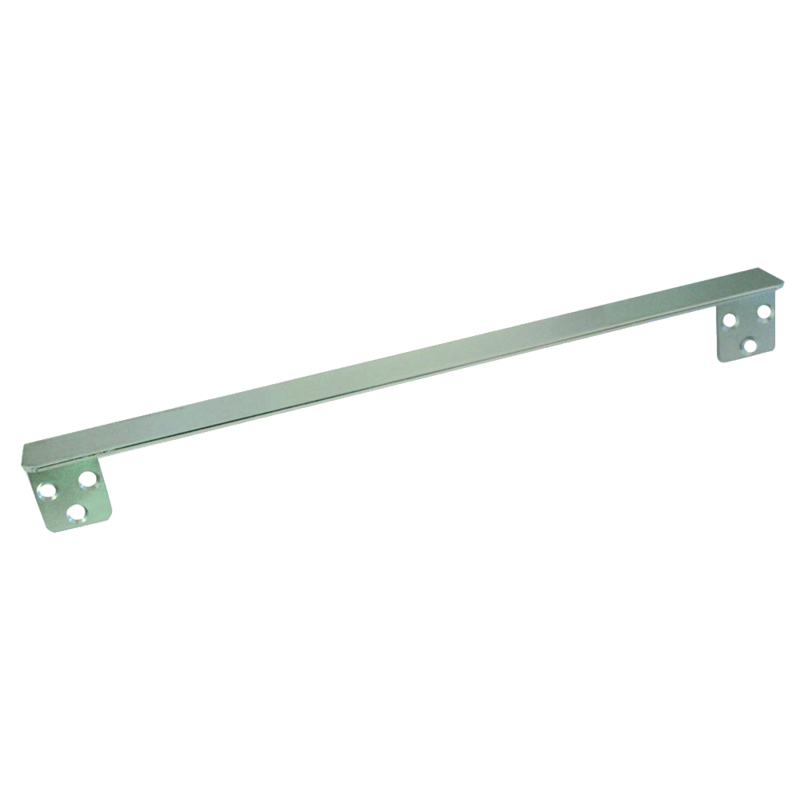 It is made from steel plate and extends over the gap between the fame and the door and protects the bolt and latch from attack. 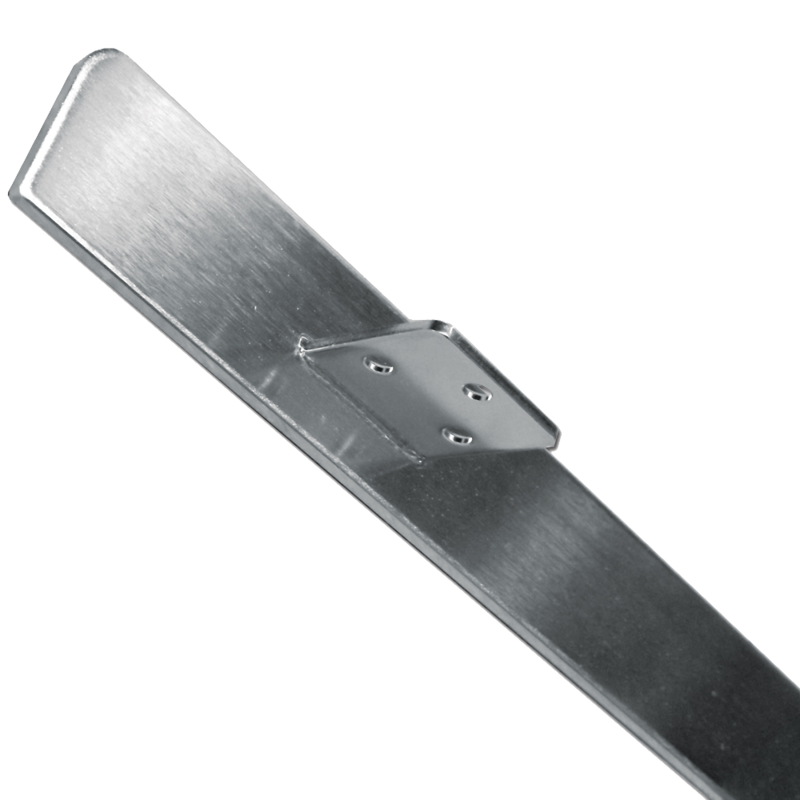 A full length stainless steel anti-thrust plate, suitable for both single and double doors. A very secure and highly effective way to protect the locks on vulnerable, outward opening doors.